Taxis are a common appearance throughout Japan and are incredibly easy to find. In addition to hailing them on the street, taxis also congregate near train stations to take riders the last mile, or home after the last train. Typically, the taxis are sedan-style cars and can fit a manual wheelchair in the trunk. 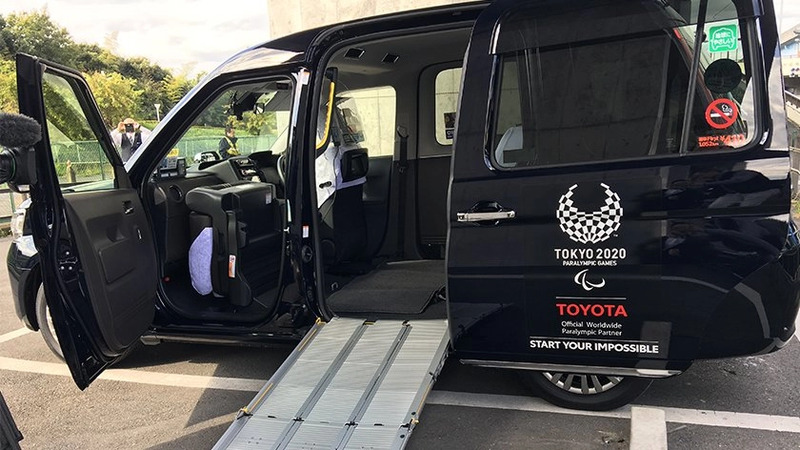 Fully accessible, van-style taxis with powered lifts are also available in major cities across Japan but are often difficult for non-locals to use. This type of “welfare taxi” is typically individually owned and requires a reservation. 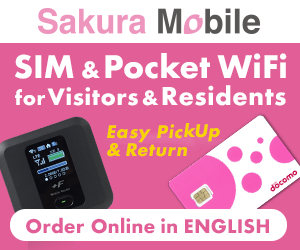 This, of course, requires the rider to make phone calls in Japanese to book a ride. 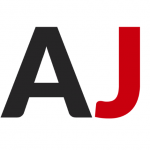 Additionally, since these taxis mostly earn their income from ferrying locals to hospital appointments, their contact information is not often listed other than at the city welfare office. Airport transport and tours take these drivers from their regular customers and are often outside of regular hours, so they charge a premium for special rides. If you are a foreign visitor, arranging for accessible travel by taxi is both difficult and expensive. In preparation for the Tokyo 2020 Olympics and Paralympics, Toyota has created a “new style of taxi” which takes design themes from London Black Cabs. The most interesting feature of these taxis is that they are designed to carry wheelchair-using passengers. A ramp is used to help riders enter the vehicle at the rear passenger side. The passenger seat, and part of the rear bench, are folded to accommodate one wheelchair rider, and one companion. We recently had an opportunity to try it out, but it was a case of “its sooooo close … but not quite there”. We tested the taxi with a rear-wheel-drive Invacare Storm Series wheelchair equipped with tilt/recline and a headrest. The door to the taxi is only 130cm tall (and 72cm wide), so temporarily removing the headrest was a must. Once inside, it is possible to do a 3-point turn into the correct position but anyone over 130cm when seated will need to duck their head while maneuvering. Once in position, we could re-attach the headrest and recline the wheelchair backrest to a comfortable position. We tried again after removing the headrest and the seat cushion to reduce total height by about 4-5cm. The proved to make getting in and out much easier. However, there are many people who cannot make these temporary adjustments. Major taxi companies are planning to make large purchases of these taxis in an effort to have 1/3 of all taxis be this new style by 2020. While the possibility of just hailing a cab and going to your destination whenever you want is an exciting thought, these taxis only really help those using manual wheelchairs. Those who use power wheelchairs – and who are often the most limited by transportation options – will still be left sitting on the curb. Close, but we wish they had of considered all wheelchair types.